Filippo Inzaghi was going to pick his next role very carefully. The former striker, a fan favourite at AC Milan, had his fingers burned when returning to the club in a coaching capacity. Inzaghi lasted just shy of a year under Silvio Berlusconi, and was dismissed in June 2015. Almost one year on from that disappointment he was back in management, navigating the streets of Venice in a small wooden boat as head coach of Venezia FC. “When I met them I understood they had serious intentions to do well, and a lot of respect for me,” Inzaghi told KICK earlier this year. The men he was referring to are Venezia’s Sporting Director Giorgio Perinetti and owner Joe Tacopina. The former is a highly respected member of Italian football that counts Juventus, Roma, and Napoli among his former employers. He was the first part of Tacopina’s puzzle, with Inzaghi the second, in what is quickly looking a grand but successful picture. Tacopina is a New York lawyer with his own unique history in Italian football. Prior to purchasing Venezia, he spent time on the board of Roma and was President of Bologna, where he said he would only leave the club in a coffin. Tacopina is a man who rarely speaks in half-measures. He is draped in conviction, and seems to care little if you believe what he says. Eager to change that, Tacopina organised an ownership group made up of friends and business associates, all American. From there, he took a financially prudent approach towards ownership. And relaunch he did. The club’s look is thoroughly modern, but with a nod to the past. 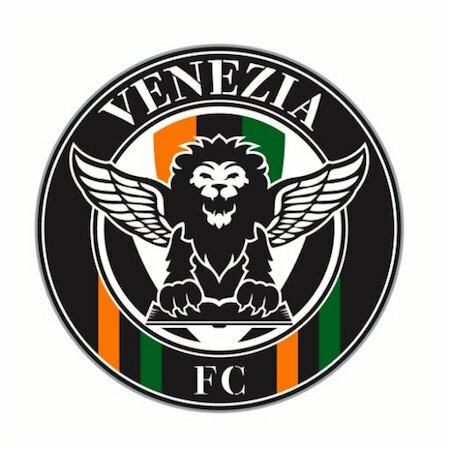 The colours — black with green and orange accents — have remained the same, while the badge and name got a polish, changing from the rather clunky, Football Club Unione Venezia S.r.l. to simply Venezia FC. On the field, Tacopina’s plan has been clear. When I met him briefly during lunch in New York last summer, he talked about Venezia becoming a global brand, adding that the club’s lack of competition in the area and history as a tourist destination made it the perfect candidate for such expansion. Tacopina is eager to grow things at a sensible pace though. 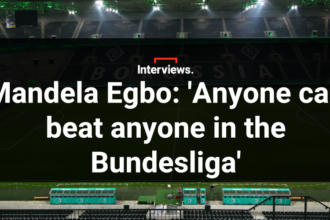 He wants the club to be self-sustainable, and won’t simply pour money in to achieve his goal. The first part of his detailed plan was completed at the weekend with promotion to Serie B. The club beat Parma to top spot in Lega Pro, and confirmed their place in Italy’s second tier with a 1-1 draw against Fano. His critics may call him brash, but he has been accepted by the people of Venice. He speaks of the city with passion and admiration. Seeking to forge a bond with the locals, he recently launched a new membership scheme that, as well granting access to tickets and the club, affords members discounts at shops in the city. “I literally took one of my commercial guys, and we went knocking on doors,” he said. More people may ‘jump on it’ if Venezia FC continue to climb Italy’s football pyramid. But the club is under no illusion that Serie B represents a tough challenge. In a bid to prepare for the long-term Venezia have acquired a number of players with experience in the second tier. At the heart of the defence is Maurizio Domizzi, signed from Udinese. Now 36 years old, he boasts time in Serie A and even Europa League experience. Not just aiming for success on the field the club is also planning a stadium move. Their current home — Stadio Pierluigi Penzo — holds a modest 7,450. Redevelopment is realistically out of the question, with water surrounding the venue on three sides and a military facility on the fourth. Tacopina is adamant a new stadium is achievable by 2019. Another of his bold claims, his conviction makes him persuasive. An ambitious owner, at the heart of what appears a well-run club, Tacopina and Venezia are one step closer to being back in Serie A. That is the goal fans have craved since their relegation from the top flight in 2002. Inzaghi’s decision to sign on has been validated; at Venezia he can build the legacy he was denied at his former home in Milan.